Who is not afraid of us? 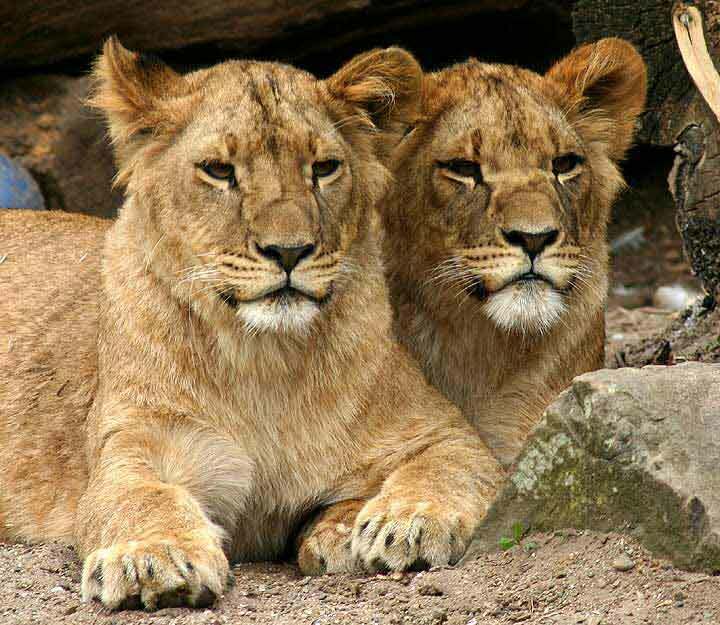 Two young lions watch carefully what happens around. When the cubs grow up, most of the spots on their skin disappears.